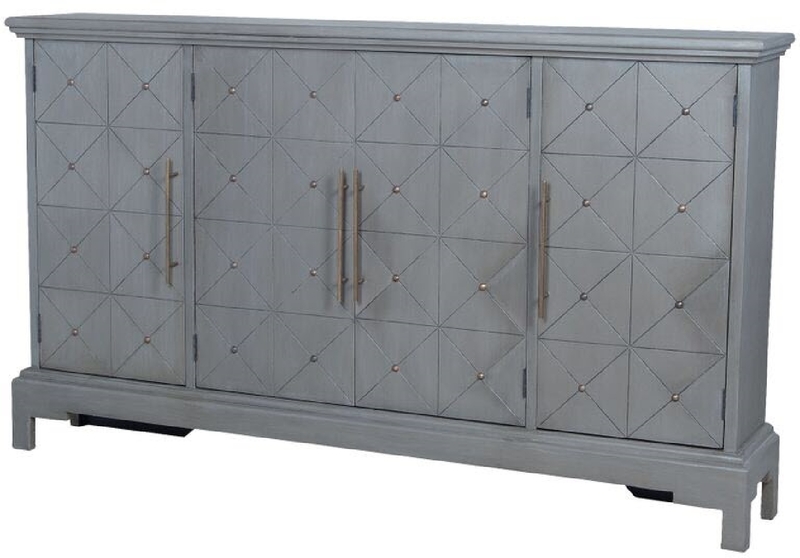 MANOR ESTATE CREDENZA - Manor Garden Gate finish on carved wood credenza. 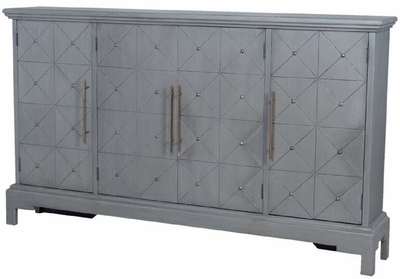 Hand carved diamond tuck pattern with hand tooled metal embellishments on door fronts. Antiqued hardware. H 42" x W 72" x Depth 12"